Rockville, MD (June 6, 2017) – InHand Electronics, a leading original design manufacturer of low-power embedded systems and handheld and rugged devices, has joined the Wind River® Partner Program at the silver level. InHand combines its expertise in embedded electronics design with Wind River’s VxWorks real time operating system (RTOS) to provide novel solutions for portable, rugged electronic devices that require time-critical operations. InHand will initially develop a VxWorks board support package (BSP) for its Fury-M6 platform. 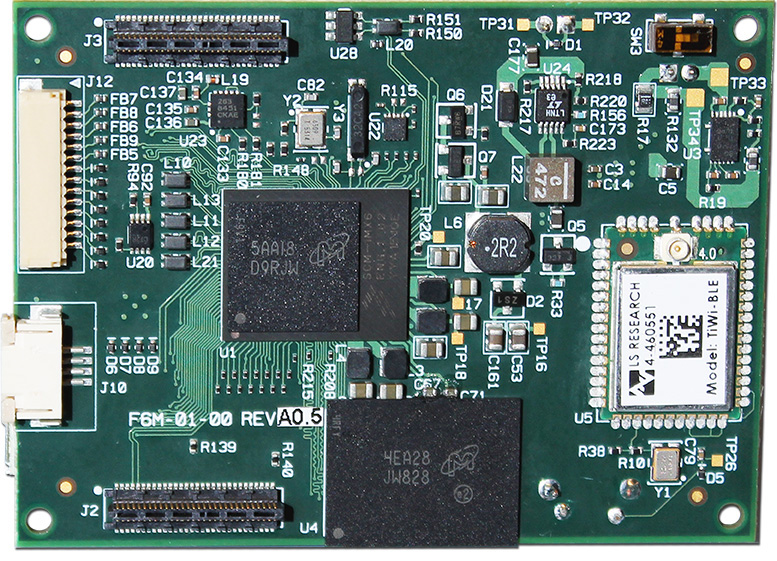 The Fury-M6 embedded single board computer (SBC), measuring a tiny 2.75” x 2”, features NXP’s dual and quad core SCM-i.MX 6 processors, battery management, Wi-Fi, Bluetooth, USB, various serial interfaces, accelerometer, and magnetometer. When running VxWorks, the Fury-M6 is ideal for portable deterministic applications, such as field sensor monitoring and infrastructure control. A development platform is available for immediate shipment. Additional information can be found at www.inhand.com. The VxWorks BSP can easily be ported to InHand’s other SBC platforms, including the IoT gateway/sensor control Fury-X and the tablet-optimized Fury-F6. Additionally, Wind River Linux can be ported to InHand’s platforms, including InHand’s rugged Hydra-F6 tablet, especially beneficial for applications requiring software certification or security. All InHand hardware platforms can be customized for specific product requirements, along with matching VxWorks or Wind River Linux BSPs. InHand Electronics, Inc. is an original design manufacturer of single board computers and rugged handhelds for original equipment manufacturers. InHand offers commercial off-the-shelf (COTS) computing platforms and modified COTS design services for custom electronic and Internet of Things (IoT) product solutions. InHand’s products are used in a variety of markets including: military, healthcare, industrial, and instrumentation. Products feature industry-leading processor technologies from NXP, Texas Instruments, Intel and Marvell; Android, Linux, VxWorks, Ubuntu, Microsoft, and various RTOS operating systems; and communications technologies such as cellular, Wi-Fi, personal area network, and Ethernet. InHand’s engineering design services include: system, hardware, software, and packaging; support services include: product manufacturing, program management, manufacturing test development, and supply chain. InHand is an ITAR registered company. InHand products are designed and assembled in the USA. The company’s headquarters are located along the I-270 Technology Corridor in Rockville, Maryland. For more information, visit www.inhand.com.